For some people, the middle seat isn’t a curse to avoid, but a perk to covet. Ralphiee Esperas, a 30-year-old Phoenix resident who works in marketing, says his love affair with middle seats started a couple of years ago on a flight from Phoenix to Iowa, when he found himself in the middle seat on an evening flight. After striking up a conversation with the woman on his right, whom he recalls as being in her 60s, he offered to buy her a drink. “I felt good about the situation, so I said, ‘I’m gonna get a drink; the first round’s on me,’” he says. Then, the woman on his left, whom Esperas says was in her early 20s, joined in after sharing that it was her birthday. “We talked, the drinks were flowing, and we kept buying each other rounds,” he says. The conversation covered “just life,” Esperas says, including what they did for a living and the reason for their trip. Carolyn Clancy, an executive vice president at Fidelity, found a new job because she sat in a middle seat back in 1999. After striking up a conversation with the person seated next to her, she ended up exchanging business cards and interviewing for a job at Fidelity, where she remains to this day. As Esperas’ experience shows, a middle seat offers a prime opportunity for unexpected connections. “I want to hear other people’s stories. It’s the best education about life, instead of just reading it on the internet. I get a lot of energy from that,” he says. He acknowledges, though, that he is the definition of an extrovert, and that introverts might have a different perspective on long conversations with seatmates. Race car driver Kenny Wallace, who has a large social media following, says he often opts for the middle seat as a way of paying it forward. “I choose the middle seat sometimes to help people under stress,” he says. For example, he will volunteer to trade his aisle or window seat with someone separated from their family so they can sit together. Occasionally, his generosity has led to more tangible benefits, such as one time last summer when he received free beer in exchange for moving to a middle seat in a different aisle so two sisters could sit together. If you don’t have assigned seating and can take your pick, often middle seats are the last to fill up — which means if you want to sit near the front of the plane, your best chance of finding an available seat is often choosing a middle one. 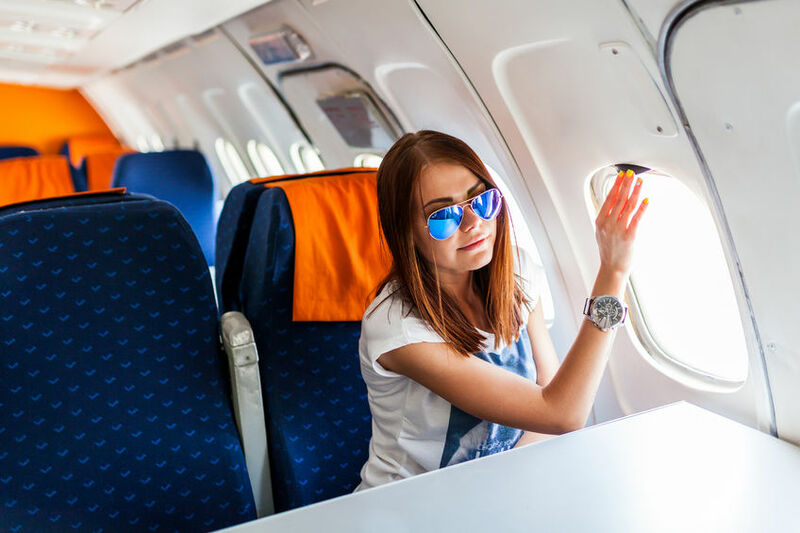 If you know you’ll be rushing to make a connection or just eager to get off the plane, sitting closer to the front could be considered a major plus. According to widely acknowledged traveler etiquette, the person occupying the middle seat deserves access to both armrests. However, not everyone respects this custom. “It seems I usually end up sharing with the person sitting next to me that I don’t know. I actually just educated a teenager sitting next to me on my last flight about the armrest rules,” says Christina Saull, a travel blogger based in Washington, D.C., who writes at the aptly named website My View from the Middle Seat. If you are traveling solo and you suspect that your flight won’t be a full one — for example, if it’s scheduled at an unpopular time such as early in the morning — then the economists who blog at the website Cheap Talk calculate that you increase your chances of getting a row to yourself by selecting the middle seat. Here’s how they reach that conclusion: If you select the middle seat on a relatively empty flight, then the next person to select a seat will choose a different row, because they prefer not to sit directly next to someone. If the flight fills up, you might get seatmates, of course. But otherwise, you could wind up enjoying the row to yourself. The article 5 Reasons for Flyers to Love the Middle Seat originally appeared on NerdWallet.